Wrongful Death - The Gerardo Cantu Law Firm, P.C. 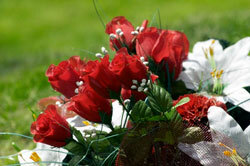 We understand that there is nothing more difficult than dealing with the death of a loved one. It is even more difficult when your the death of your loved one was caused by someone else’s careless or negligent conduct. When you turn to us for help, our attorneys will take great care to help you with everything we can. Before we move forward to address the legal issues involved in an accidental death case, we will see that all of your other needs are addressed. From funeral arrangements to getting your family together, we will do what we can to help get things in order before we begin taking action against those whose negligence caused the fatal accident. You pay nothing unless we win your case. At the personal injury law firm of The Gerardo Cantu Law Firm, P.C. in Houston, Texas, we handle all wrongful death cases on a contingency basis. When handling a wrongful death case, we have two goals in mind. First, we want to provide financial relief for you and your family. While we know that no sum of money can truly compensate you for your loss, we also know that you have the right to seek compensation to cover the loss of financial support and other expenses. We will carefully analyze the financial losses you have suffered. We will fight to recover every bit of compensation the law entitles you to. Our second goal is to see that those who caused the wrongful death are prevented from doing the same thing to anyone else. We know that you do not want any other families to go through what you have had to go through. Contact us for a free consultation: Call us or send us an e-mail. Get in touch with us today to discuss your wrongful death case with an experienced lawyer.